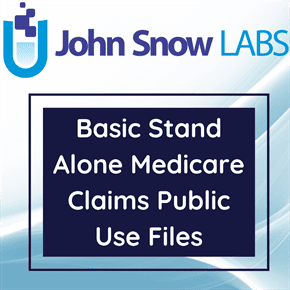 The dataset the Basic Stand Alone (BSA) Inpatient Public Use Files (PUF) has information from 2008 Medicare inpatient claims. Certain demographic and claim-related variables which are most commonly reported or studied in health services research are included in the dataset. The CMS 2008 BSA Inpatient Claims PUF is a claim-level file in which each record is an inpatient claim incurred by a 5% sample of Medicare beneficiaries. The CMS 2008 BSA Inpatient Claims PUF is prepared from a 5% simple random sample of beneficiaries drawn (without replacement) from the 100% Beneficiary Summary File for the reference year 2008. The 100% Beneficiary Summary File is created annually and contains demographic, entitlement and enrollment data for beneficiaries. As part of the PUF preparation steps, some claims are excluded or suppressed from the CMS 2008 BSA Inpatient Claims PUF. The initial 5% sample of beneficiaries contains 2,392,893 beneficiaries. Out of those, 372,686 beneficiaries have at least one inpatient claim; the remaining 2,020,207 beneficiaries do not have any inpatient claims in 2008. To protect the privacy of Medicare beneficiaries, 52,869 claims incurred by 46,863 beneficiaries are suppressed from the PUF, leaving 588,415 claims incurred by 352,267 beneficiaries in the CMS 2008 BSA Inpatient Claims PUF. Note that suppressing a claim may or may not exclude a beneficiary from the PUF. The exclusion of a beneficiary depends on whether or not the beneficiary has one or more additional claims remaining in the PUF. Consequently, not all 46,863 beneficiaries are excluded. It contains six analytic variables in addition to a unique claim key. Claim ID is a cryptographic key specific to this Inpatient Claims PUF and not available elsewhere. The CMS 2008 BSA Inpatient Claims PUF is sorted by this claim ID to ensure that the relative position of each claim in the PUF and in the original source data are totally uncorrelated. All of these variables, except gender, have been aggregated or averaged in order to protect individuals from identification while retaining the analytic value of the data.